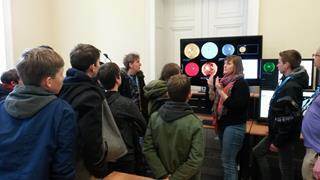 For several years now, the Planetarium (Heysel) and the Space Pole (Uccle) host the ASGARD project from ESERO Belgium and St-Pieterscollege Jette. 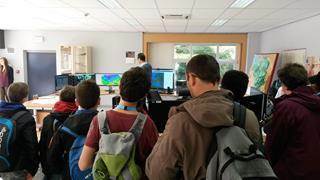 Student teams think of their own scientific experiment to send into near-space with a stratospheric balloon from the Royal Meteorological Institute (RMI). 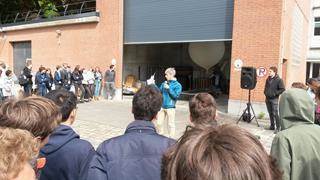 Teams whose proposals are selected by the jury, can then build their experiment for real, presenting it to the other selected participants, and launch it from the Space Pole plateau in Brussels. 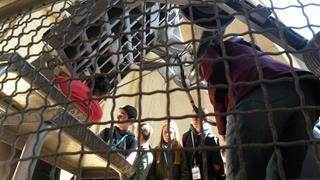 This educationally all-inclusive project is open to all students from European secondary schools. 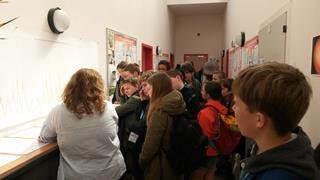 In 2018, no less than 20 projects got a green light, with participating schools from Belgium, Spain, Portugal, Poland, the U.K. and this time even one from the United States. Because of all the experiments, 2 balloons had to be used. As with all good scientific projects, some last-minute problems popped up and the launch got delayed by 45 minutes. 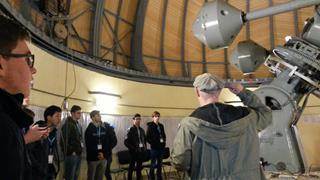 Traditionally, during launch day, the students also have the opportunity to participate in several workshops and visit some of the facilities of the 3 institutes at the Space Pole. The pictures underneath show some of these workshops and visits: spectroscopy at BISA, the big telescope at the ROB, explanations on the weather balloon and in the weather bureau at RMI, and the solar walk along PROBA2, the Space Weather Forecasting Centre, the solar telescopes and on the sunspot number. These young future scientists certainly had an interesting and exciting field day!